Thursday 25th September 2014 – 11pm – Jamie Arrowsmith. A pedestrian has suffered a number of serious injuries to his head, arms and legs following a collision with a car in Coventry tonight. West Midlands Ambulance Service was called to Ansty Road, near to the junction of Sewall Highway and Hipswell Highway, shortly after 9.25pm and sent an ambulance, a paramedic in a rapid response vehicle and a paramedic area support officer to the scene. A West Midlands Ambulance Service spokesman said: “Crews arrived to find a man with a reduced level of consciousness and a car that had suffered front end damage. “The man, believed to be in his 40s, was assessed by ambulance staff and treated for head injuries, fractured arms and suspected fractured legs. 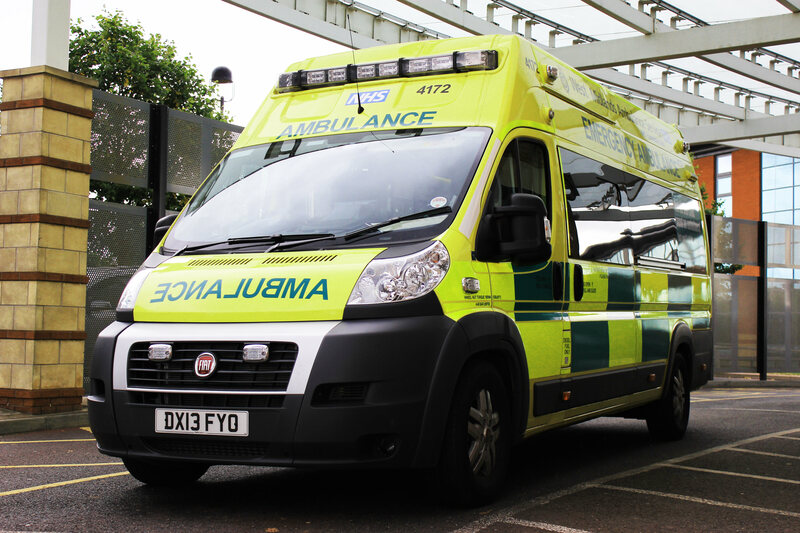 “He was immobilised with the use of a neck collar and spinal board before being taken to the major trauma centre at University Hospital Coventry and Warwickshire.